March was a very busy month, filled with family & friends, doctor appointments (just routine check-ups for me & Robbie), the arrival of beautiful spring weather, road trips, and, of course, INSPIRATION. 1. February Top Five - I completed all of my February Top Five layouts: (1) Doily Days, (2) Pile of Postcards Valentine Exchange, (3) Scrapbook Expo buttons, (4) Agents of SHIELD cards, and (5) Ice & Snow! And since I have a great start to our 2015 album, I also created a title page using a photo of us from early January. 2. Digital Workflow - I completed the processing and ordering of photos from 2014!! I now have a large pile of printed photos that still need to be put in storage binders along with bits and pieces of memorabilia, but I'm thrilled to have this project completed. 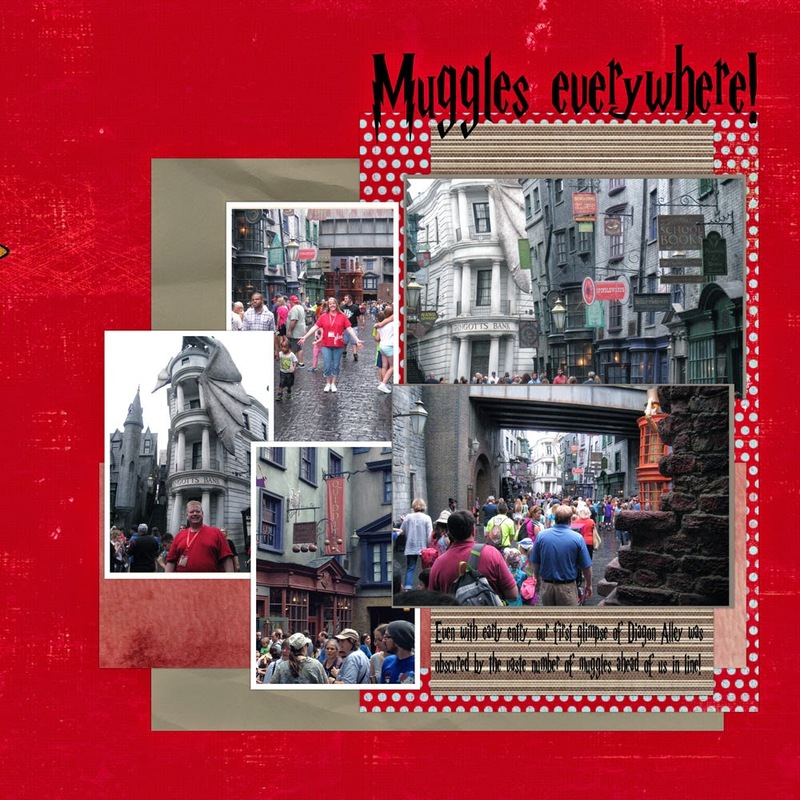 I did create one digital layout while I was working through the photos from our trip to Harry Potter World. 3. 2011 Chronological Albums - I only completed four layouts for our 2011 albums during March, however I've started putting together page kits for a crop later this month and hope to make a big dent in the remaining items on the list. 4. Truth Scrap - Unfortunately, I did not review any of the materials from Truth Scrap this month. 5. Spring Break Travel - I enjoyed my three-day get-away with a friend and two teenagers and came home with a half completed mini-album and a batch of photos to process. Robbie's brother and his family arrived from Ohio just in time for some beautiful spring weather and we had an absolutely fabulous week-long vacation that included trying new things (my first helicopter ride! ), eating at my favorite restaurants (because we took a road trip to southeast Texas, my old stomping grounds), laughing, sight seeing, and meeting up with other family and friends. Before they headed home, I uploaded the photos from all our cameras and cell phones into one folder on my computer . . . all 1,325 of them!! 6. READING FOR INSPIRATION - I enjoyed both of the books I chose to read this month. The Daniel Plan was great INSPIRATION for healthy living, focusing on five areas of a healthier life - faith, food, fitness, focus, and friends. Eat That Frog! was filled with ideas to get things done and reminders to concentrate on the most important items first. I did find time for some other creative INSPIRATION in March also and completed 20 layouts and an altered clipboard along with publishing 16 blog posts. 1. March Top Five - I had a very difficult time choosing my top five stories/photos/events for March, but here they are: (1) I'm Delivering Sunshine, (2) Mineola Trip mini-album, (3) 3000-piece puzzle, (4) Huey UH1 ride, and (5) "I just saw a lemon." 2. 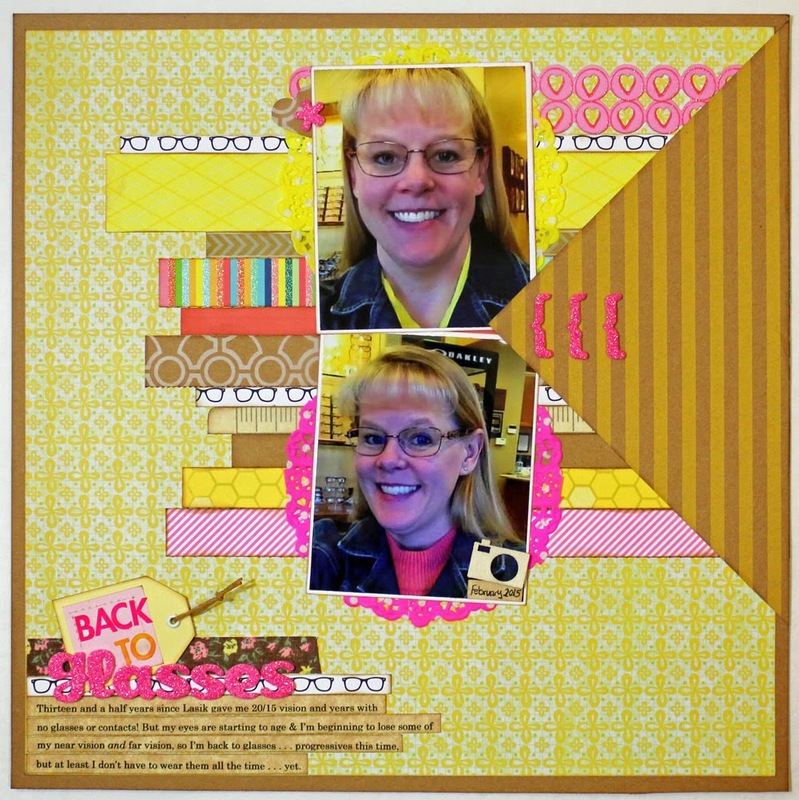 Hope & A Future Class - I'll be teaching my latest class at Scrappin' Goodtime on the 10th. Click HERE for all the details! 3. 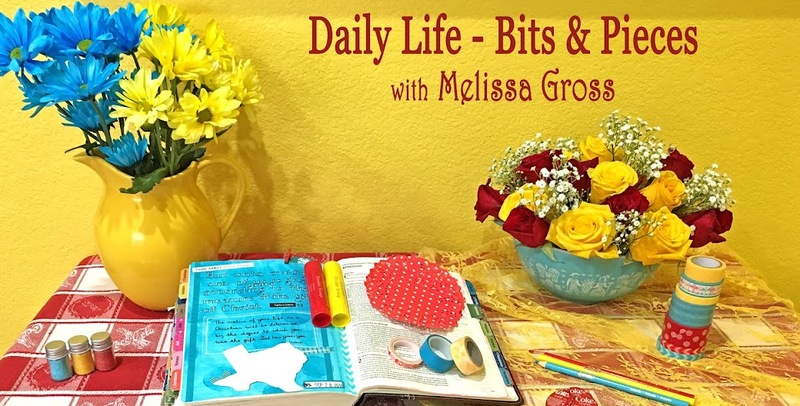 BPC Membership - This past weekend I signed up for my free 30-day trial at the new Big Picture Classes site and am planning to use INSPIRATION from the variety of classes there. I've actually already started and created this layout based on the sketch for January in Aly Dosdall's Document 2015 class. The class is designed with INSPIRATION for creating a monthly review layout, however I used the sketch to scrap another story from February of this year. Here's a closer look at the journaling. 4. Crop With LeAnne - I'll be traveling to the Houston area to visit and scrap with my friend LeAnne for three days this month. I've already started putting page kits together to work on then! 6. READING FOR INSPIRATION - I'll be participating in Part II of the Laura Ingalls Wilder course at Canvas.net. 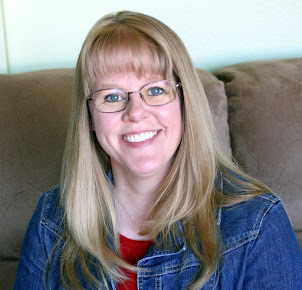 I thoroughly enjoyed Part I of the course this past fall (see my review HERE) and am looking forward to reading the remaining Little House books and learning more about the writing life of Laura Ingalls Wilder. What kind of INSPIRATION did you enjoy in March? What are your plans for exploring and acting on INSPIRATION in April? I have no idea how on earth you manage to do so much in a month! Full of adniration here - and your first page for 2015 is a a great creative start to another album. I love your title page too. 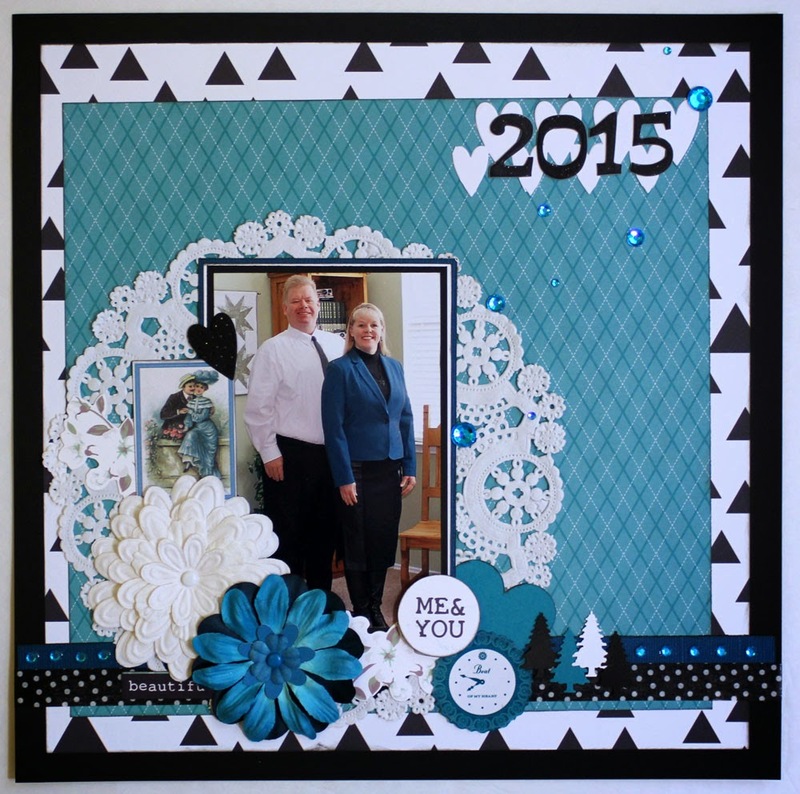 I received a new kit 2 days ago and will use that to inspire my Scrapbooking. I also belong to Paperclipping and watch those videos and Shimele's videos for inspiration. You certainly do accomplish a lot in a month. But I do have to admire your ability to just mark everything "read" in your blog reader. I'm too afraid I'll miss something---to the point that I place an unnecessary burden on myself. I probably had at least a hundred posts to read while laid up. I'm just about finished wading my way through them. You are moving right along! I have found inspiration in the beautiful weather we've been having and some new, fun supplies I bought. Hope to review some of them soon. You've been busy despite the travel! I'm back from a four day work trip to Baltimore and trying to catch up with life. The last thing I published before I left (Pursuing My Passions - Wellness) I'd love for you to read and provide feedback if you find time. I like that photo of you and Robbie in January. You are being so productive on your goals well done. I've skimmed blog posts and commented on only a few - first time I've risked tiring my wrist on 'non essential typing'. Lovely to see your posts tho'.